The F3 Cycling FormMount is a neat, secure mount for popular bike computers from the likes of Garmin and Wahoo, and it can be adapted to carry a phone and a GoPro. Fitting the FormMount to a stem with a four-bolt faceplate is pretty straightforward in most cases: you remove either the top two bolts or the bottom two bolts, slide longer bolts (which come as part of the package) through the FormMount's arms, add little CNC machined spacers to them and then tighten into place on your stem. The bolts serve a dual purpose: holding your stem's faceplate in place and fixing the FormMount in position. You get to choose from several different FormMount positions. As mentioned, you can fix it to either the top bolts or the bottom bolts of your stem. The arms are kinked towards the end and can rotate relative to the computer mount section, allowing you to position that mount either higher or lower than the bolts. Using the top bolts, you can also run the arms rearward so that your computer sits just above your stem. Finally, you get 15mm of fore/aft adjustment. You loosen three 2mm hex bolts, move the arms to whichever of the 13 internal notches you want to use, and tighten them up again. It's a simple job. If the position still isn't right for you, shorter arms are available for £10. These will take computers up to the size of a Wahoo Bolt (small computers will work with long arms, but large computers won't work with short arms). One other choice you get is between Garmin and Wahoo inserts; both come in the pack. Swapping between them is another simple job with a 2mm hex key (compatibility with other leading brands is in development, according to F3). The FormMount will fit most four-bolt stems where the distance between the centre of the bolts is anywhere from 16mm to 41mm. The stem bolts must run parallel to one another (most do). Sod's Law, the FormMount didn't fit the first stem I tried it on. It uses M5 bolts and anything larger won't go through the arms. The second stem, though: easy peasy, and it has been the same for a load more stems that I've tried since. I've been using the FormMount mostly with a Wahoo Elemnt Bolt, the computer locking in place securely and remaining stable and readable over all kinds of road surfaces. I had no issues with the computer vibrating and becoming illegible. 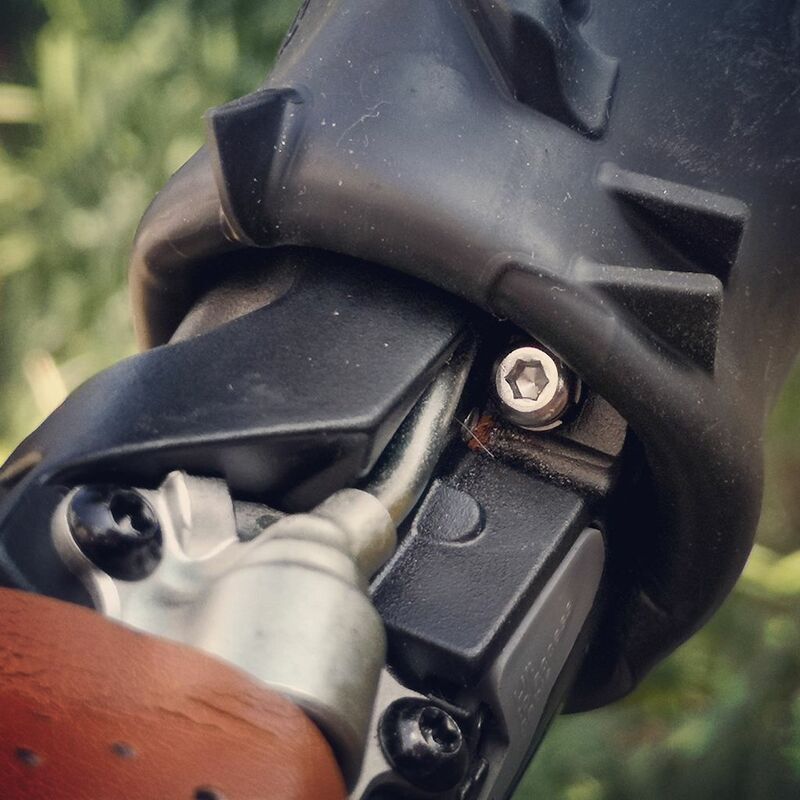 If that does happen with heavier devices fitted (a larger computer and a GoPro, for example) a BridgeTool is available to brace the arms and provide extra stability. I've used the FormMount with various other devices, including Garmin's large Edge 1030 GPS. Position it to sit flush with your stem and you can access the lower buttons just fine. One potential drawback of the FormMount is that you don't get angle adjustment like you do with a mount that clamps around a round handlebar, such as the K-Edge Garmin Race Mount we reviewed. It will always sit at the same angle as your stem bolts, so if you have a riser stem the FormMount will continue upwards at the same angle, and if you have a negative rise stem (yuck! I hate that term) it will slope downwards. You can't do anything about that (F3 says that a FormMount with a tilt function is in the works), which might or might not be an issue for you. Chances are that if you're a roadie you have a flattish stem anyway. On the plus side, this design frees up space on your handlebar, positions your computer centrally and, personally, I think it's a neat solution, making use of what's already there to reduce clutter. At 25g it weighs the same as Wahoo's out-front mount that clamps to your handlebar, although you need to add two x 2g to take account of the longer stem bolts that you have to use. Negligible! Various accessories are available for the FormMount, including a Phone Component (£35) that allows you to attach your mobile on top, and a Camera/Light Component (£15) that lets you fix a GoPro, for example, to the bottom. I've already mentioned that you can get shorter arms (£10). One other accessory is a coloured plate to run through the middle of the FormMount (£5.50) to replace the standard black and match your bike. That's a custom option too far for me! You might have got an out-front mount in the pack with your computer and an unbranded replacement is just a few quid, but if you want one from Garmin it'll cost you £29.99, while something like the K-Edge Garmin Race Mount I mentioned earlier is £54.99. In that sort of company, the FormMount pricing seems fine, particularly as it's both super-tidy and modular. Overall, the FormMount is a really good design that'll hold various computers securely while keeping the front end of your bike free of clutter. It's a cool bit of kit. F3 describes the FormMount as "a modular mounting system for GPS computers, phones, cameras and lights". It says, "The marvel of FormMount's direct stem integration is the ability to fit virtually any 4 bolt stem in multiple mounting positions. Carbon filled polymeric materials provide stiffness, strength and light weight. Overmoulded CNC stainless steel inserts provide a secure stem connection. FormMount is the embodiment of a form follows function philosophy." - 360 degree rotating arms offer 5 mounting positions. - 13 fore/aft settings puts computer in exact position of rider preference. Plus, it's available in 2 arm lengths. - Mounts directly into virtually any 4 bolt stem. - Accenting colours available in orange, yellow, white, red, green blue and gray. - Supports Garmin, Wahoo and Sigma Sport. Other leading brands in development. - Transforms into a phone mount with add on component. - Camera and light integration with add on component. It's strong and has a solid feel. Some people might prefer a CNC aluminium construction, I guess. It does what it's supposed to do... very well. It's tougher than it looks. It's hidden under your computer in use so it's unlikely to get damaged. It's about the same weight as a standard out-front mount that you get from a computer manufacturer like Garmin or Wahoo. You don't have to pay this much if you just want a mount for your computer, but it's a very neat little gizmo. Very well. No complaints at all from me. Tidy solution, easy to install. You can buy a replacement out-front mount for just a few pounds, Wahoo's own is £16.99, one from Garmin is £29.99 and the K-Edge Garmin Race Mount that we reviewed last year is £54.99. The FormMount is a smart modular design so it's a little different. This is a really good product that does exactly what it's supposed to do. It's a clear 8 overall. £45 ???? Seems a bit steep. I’ll stick with the Wahoo mount. I find it astonishing that no-one has come up with this for a reasonable price. It’s really not a complicated bit of machining. It’s just what I need as my lovely Deda Zero aero bars have no way to attach an out front Garmin (why didn’t they consider this?). I need something like this, but for half the price. Anyone with a 3D printer up for it? Not sure if i'm mis-reading this but if you have a 'normal' stem then there are a number of bolt-on out-front mounts, eBay has plenty with different device/mount/bolt specs. I did fork out for two of these, as I couldn't find a similar mount to have my Garmin 500 uber close to the face plate. I've had the usual K edge, but wanted to de- clutter my bars, plus have a integrated GoPro mount, not another mount, this ticked all the boxes. Loads of mounts suitable for the big Garmin's, and other ugly mounts which I didn't like. What I didn't like is the default option is the long arm and if you want the short arm it's extra! I did contact the company and I was told that's how it is, I do think they ought to do a long and short option. It's expensive for what it is, and needs competition to drive the price down, or the Chinese to copy it. At least Sigma Sports stock it now, so I don't have to order it direct and face paying VAT and post office charges on top of it's price! I got mine delivered to an American mate who bought it over to avoid international postage too, otherwise I wouldn't have bought any directly. These parts are so overpriced. Was looking for a second mount for another bike, have a K-edge on one but didn't want to pay the extortionate amount for another. After many hours of searching found one from Superstarcomponents.com for £23 for Edge 1000. Machined aluminium, light - as good as the k-edge for a fraction of the cost....and British made! support local firms! ZTTO on Ebay is working fine for me currently at £6 (from a UK seller). Obviously I'm still a bit apprehensive as I have my Garmin and Exposure light attached but it's still going strong currently. I got one of these mounts from their KickStarter campaign, but I found that it wasn't very happy holding the weight of a Fly12 (too much vibration in the video) and I couldn't get it to fit in a suitable place so that the Fly12 could be angled correctly. Expensive, but cheaper than the only other central mounted neat solution, the Bar Fly (£23 - ok that's not _so_ bad, but it only works with a £70 Fizik stem). I've gone through about 6 or 7 different mounts that either couldn't hold the Fly12 in a useful position or were too flimsy, but the XON is just right for me. Fitting is easy enough - just replace 2 of your headset screws and fit the XON instead of them. The screws go through a slot, so it's easy to adjust for different widths. 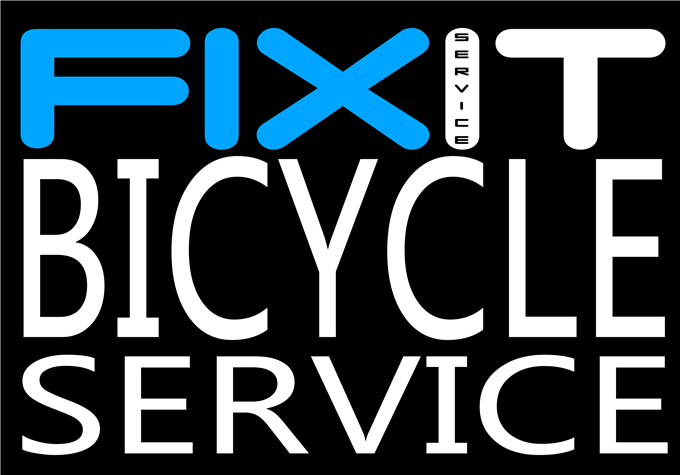 Tim from F3 Cycling here. Checking the comments and wanted to give more info. We have a patent pending status on the design, which is why only licensed companies can use it (Like Lezyne). The mount was actually very expensive to design and remains pricey to build with the carbon matrix, tight engineering tolerences and CNC components. Always glad to get feedback and have been humbled by the positive response from the cycling community on our designs. Enjoy the ride! So you expect someone to reverse engineer the Garmin and Wahoo mounts (requires a 3D scanner and some CAD software), figure out all the geometries and then model all of this in CAD, machine up some metal spacers (requires a lathe and materials), source the correct tolerance stainless bolts for the stem, then 3D print this in an engineering grade plastic (probably some form of nylon and requires an engineering grade 3D printer - or very good hobbyist printer) and presumably guarantee it will all work and won't send your expensive GPS skidding down the road in a couple of months' time? Hmmm another overpriced mount which could possibly end up costing you even more in 'hidden extras'. Need shorter arms Sir? We can sell you those no problem ($10). You'd like some black bolts to match your stealth stem you say? Have a look at these beauties ($8), or have you considered our titanium option ($18). Having problems installing your mount? Sorry to hear that. Allow us to sell you our bridge tool for an extra $8. What a joke.